The practice of WarDriving is a unique combination of hobby, sociological research, and security assessment. The act of driving or walking through urban areas with a wireless-equipped laptop to map both protected and un-protected wireless networks has sparked intense debate amongst lawmakers, security professionals, and the telecommunications industry. 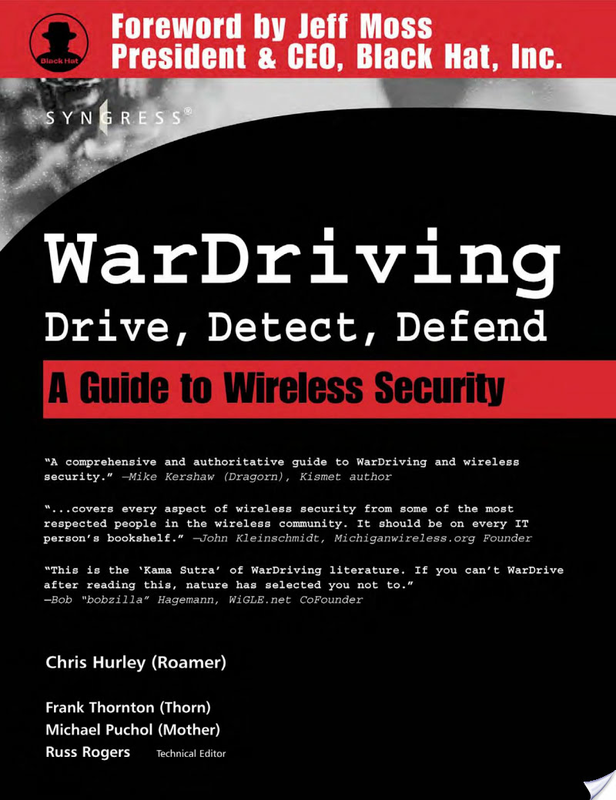 This first ever book on WarDriving is written from the inside perspective of those who have created the tools that make WarDriving possible and those who gather, analyze, and maintain data on all secured and open wireless access points in very major, metropolitan area worldwide. These insiders also provide the information to secure your wireless network before it is exploited by criminal hackers.